David Parker is a member of the firm's Litigation and Risk Management practice and has a broad range of litigation experience in commercial matters, including contract disputes, securities, tax, executive employment, covenants not-to-compete and intellectual property issues, with a specialty in complex financial instruments. David handles many diverse and complex issues on behalf of hedge funds, both at the litigation and pre-litigation stages. He has significant experience in representing clients with respect to regulatory investigations, including responding to subpoenas and preparing clients for testimony. Enforcing investors' rights when issuers refuse to convert debentures or preferred stock into common stock, to redeem those securities or otherwise to comply with their obligations. Maximizing creditors', bondholders' or preferred stockholders' claims in bankruptcy proceedings. Pursuing and defending claims arising in the context of corporate control contests. Defending against actions on behalf of issuers seeking to recover from hedge funds claimed "short swing" profits in connection with Private Investment in Public Entity (PIPE) transactions. Responding to SEC or other regulatory subpoenas and investigations and preparing clients for their testimony, including with respect to CDOs. Defending a hedge fund against claims for fees by a marketer. Enforcing a fund’s right to make certain information public so that the fund could trade in the related securities. Enforcing a fund’s right to complete a trade in which the counterparty was not performing. David also handles general commercial matters, including litigation arising from the purchases and sales of businesses and alleged breaches of confidentiality and non-disparagement agreements. Representing investment funds, including with respect to transactions in which these entities invest in distressed securities and other special situations. Representing investment funds which took sizable positions in the debt of companies such as Owens Corning and Enron. Acting as court-appointed receiver for a commercial Manhattan office building. Representing avoidance action defendants in the Madoff, Tronox, Lyondell and Tribune bankruptcy proceedings. 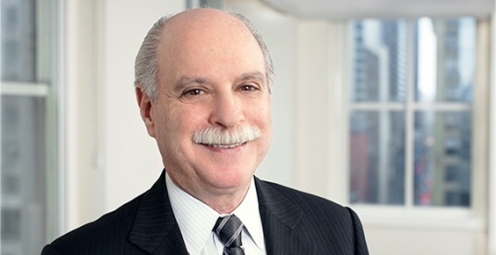 David has been named a “New York Super Lawyer” every year since in 2007, and was listed in the 2010 Corporate Counsel national edition of Super Lawyers as one of the top attorneys in business litigation.